Today’s post was written by Kirby Wilhelm. Kirby is a 3rd year sociology student who is set to graduate from Ithaca College in the Spring of 2018. Kirby has written for Buzzsaw Magazine and played on the men’s rugby team during his time at IC. Hailing from Fort Myers, Florida, he plans to work in the non-profit sector after graduating and seeing more of the world. My mom worked as a Head-Start pre-school teacher when I was growing up. Her work in the public school system of my hometown required at least an additional hour of work after school and traveling throughout the county multiple times a school year to go on home visits. 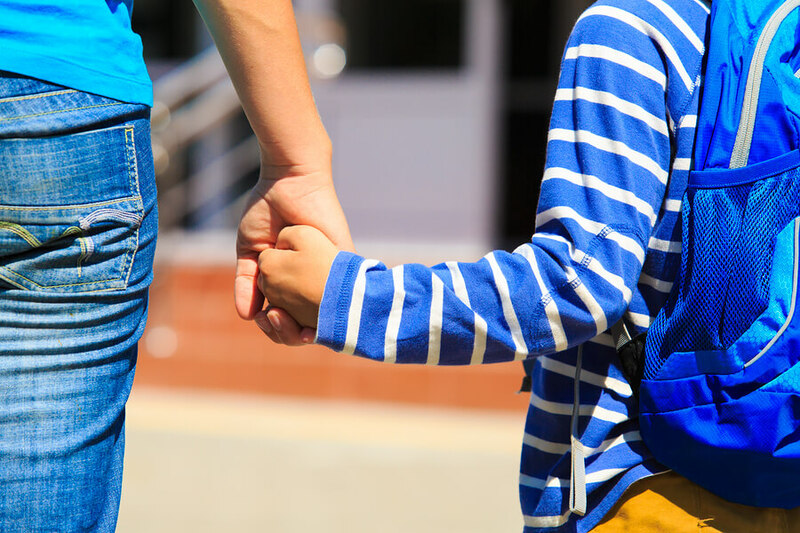 The home visit work component, a necessary part of the Head Start program, was different compared to the rest of her school work-day: she could schedule these visits based on availability of her and her student’s families. Flexible work arrangements (FWAs) include practices like allowing for changes in when or where work is performed (like working at home or on weekends), two people sharing a full-time job, or pausing work (such as taking time off). My mom’s ability to determine the time and place of a component of work was dramatically important to my family’s schedule. The chance to set meeting times outside her workplace according to my family’s schedule (and her student’s), in turn freed up time that could be spent doing other things for all involved. If a doctor’s appointment or extracurricular activity was scheduled for me or my brother, my mom could make sure that her workweek stayed open during that time period. In essence, the flexible work arrangement of having leeway in her schedule for a part of her work made the scheduling of our family life much easier and better managed. As reported by the Pew Research Center in 2016, the US labor force is changing in drastic ways. There are fewer manufacturing jobs and more jobs aligned with the information-economy than there were even ten years ago, with a 16% rise in workers with undergraduate college degrees from 1980 to 2015, in line with current trends in the economy. As more and more people are gaining employment in jobs that are directly related to information and technology, it only makes sense to ensure that FWAs are available to more and more people. In addition, the share of the American workplace by women has increased 10% from 1970 to today, and more women than men have college degrees. A 2014 study in the journal of Community, Work & Family found that only one in five employers offer more than one approach to implementing flexibility in respect to the capacity to move, reduce, or pause work to most or all employees and this is a problem, not only for workers but more importantly for those businesses that don’t realize the benefits of such manners of flexibility. Making FWAs available to employees can greatly benefit businesses and organizations. A seminal 1998 Boston College Center for Work and Family research collection showed that those workplaces that offer FWAs to the majority of their employees have workers who are generally happier, healthier, and more inclined to work harder for their employers. While nearly 20 years old, the results of these findings are still applicable today: a workplace that allows for flexibility encourages and makes possible the best life for the employees working there. In the United Kingdom and New Zealand, the ability to request FWAs is considered an employee’s legal right. In turn, the United States has no federal legislation regarding FWAs, and so they are left up to individual organizations or states to implement. If there is no legislation in place or company guidelines regarding FWAs, then the individuals working at these organizations will be left to fend for themselves to acquire FWAs if they so desire. In order to ensure that individuals who are most needing of FWAs get these arrangements, institutional action is required to make FWAs a reality in everyone lives. Some people and organizations view FWAs as a drawback today’s global economy, because they argue that worker schedules need to be highly structured in order for workers to gather in a workplace and physically interact with those around them as much as possible. In truth, modern technological advances actually allow for more interactions with workers. While the means by which these interactions are occurring have changed, these interactions still exist. Others have viewed FWAs as a way for businesses and work to become more engrained in people’s lives, making a 24/7 work environment necessary. But with FWAs there isn’t more work (unless one wants more), just a change in what is considered a traditional work day. FWAs allow for individuals and families to cater their work schedule around their family life. With work becoming more and more accessible to workers outside the workplace, it becomes more fitting that the place and time that people choose to work changes too. As an Obama-era executive statement lays out, the people working in today’s economy are different from those of previous economic conditions, and these changes “create a need and desire for more flexibility in the workplace”. Workers in flexible arrangements are more inclined to be loyal to their employers and are more inclined to work harder, viewing their employers as being caring towards their needs and lives. When FWAs are available to workers, employers benefit too. Workers need the chance to choose a time and place that works for them. In sum, the benefits of FWAs allow for everyone involved to live the best life possible.